This striking and versitile zip bag will help you to stand out from the crowd. Made in the UK from 100% cotton and with a lined interior makes this bag perfect for any occasion. 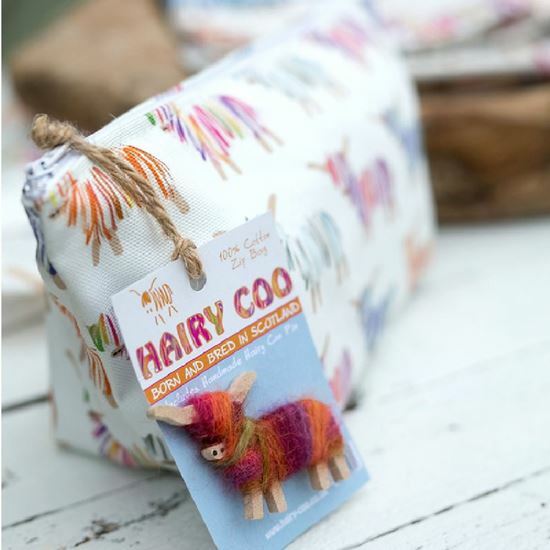 Hairy Coo range also available as: Coo Apron, Coo Tea Towel and Coo Tote Bag.